Alicia Kopf, Brother in Ice. Translated by Mara Faye Lethem. When water freezes, it increases in density and volume: in becoming ice, it is magnified, reborn, reformed. Thereafter, taking shape as an iceberg that drifts through a polar sea, it trawls the sea floor and accumulates biological matter, bacteria, fantastic micro-organisms. 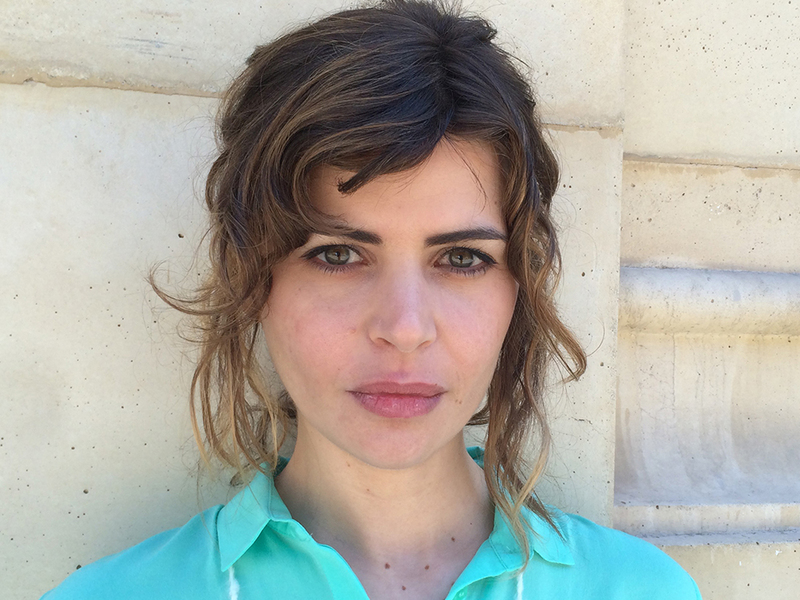 Within its “seemingly arid and barren environment”, Alicia Kopf writes in Brother in Ice (trans. Mara Faye Lethem), it plays host to “live beings with voluptuous, nourishing forms”. In much the same way as the iceberg, Kopf herself specialises in finding the light, the unexpected, and the joyful in apparently sterile ground. The seeming immobility of ice, the frozen world it presents, serves as the metaphor through which Kopf’s narrator comes to terms with her life and her relationships. 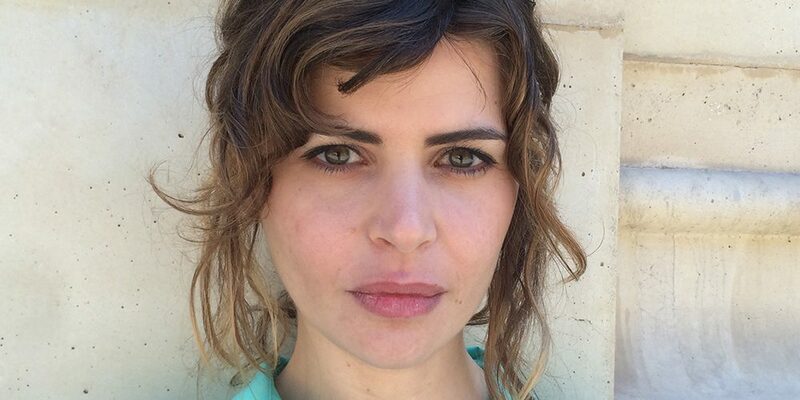 Although it is unclear which parts of Brother in Ice are fact and which are fiction — ironically, given the novel’s splintered structure — Kopf’s narrator is also named Alicia Kopf and is also pursuing a writing project that seems in keeping with this novel. The narrator works part-time as a tour guide and then as a teacher to finance her writing; when she travels to England one summer and reads Virginia Woolf’s A Room of One’s Own (1929) in Regent’s Park, she strives to carve out a place for herself within the creative world while navigating the realities of funding and grant applications. As a young woman embarking on a creative project, it is in the stolen hours after her day job that her real work emerges: work that builds on her fascination with ice and the world of the north and south poles, work that wavers delicately from curiosity into obsession. Her words and her research form a space she is able to control: it has boundaries, limitations, and extensions that she, as the author, is able to impose. The tricky part comes when life intervenes: fluid, watery, and resistant to being contained. Ice is a substance of contradictions, and contradictions are an integral component of Brother in Ice: it melds together a number of very distinct concerns. The book is broken into two sections, ‘Frozen Heroes’ and ‘Library Atop an Iceberg’, both made up of short chapters punctuated with section breaks and research notes. These fragments, like the ice-caps that capture Kopf’s attention, seem to melt around and into one another. Kopf shifts from meditations on familial relationships to academic investigations of polar expeditions, to maps of glacial landscapes and grainy monochrome photographs. She considers topics as varied as Jack Lemmon’s performance in The Apartment (1960) and Stefan Zweig’s Letter from an Unknown Woman (1922) in a single breath. At its best, reading is a form of exploration, a guided voyage of discovery across unfamiliar territory, and Brother in Ice manages to capture the wonder of this kind of reading in full measure. Kopf’s narrator, like the explorers who fascinate her, seeks meaning in an uninhabitable world. She is eight when her parents split up and her father spends Christmas with a new family in the Arctic Circle; she feeds her depressed mother little green pills and wraps her own Christmas presents. As with the fauna at the base of an iceberg, trauma is often buried deep and is not easy to extract and cast off. Through her investigations into the seemingly alien landscape of the poles, Kopf’s narrator also comes to investigate and examine herself, negotiating her complicated relationship with her autistic brother and her separated parents, her lovers, and ultimately her work and identity as a writer. As the book’s title suggests, the narrator’s relationship with her brother is of particular importance. Their lives exist in a strange polarity as she pushes towards an independence he is unable to reach: ‘‘the advantage of having a brother with a high degree of dependency is that you can’t let yourself go.” While her step-father sets up a treadmill for her brother to encourage him to exercise despite his passive existence, she moves out of home as soon as she can, eager to exert as much force on the world as she is able. Although her brother is prone to strange behaviours, Kopf’s narrator remains adamant that there is little difference between them. The clichés of autism don’t do him justice. By and large, he “doesn’t hit his head against walls or avoid physical contact”. He simply inhabits the world on a different plane of experience: “like a video streaming online, when the internet connection isn’t fast enough, sometimes his actions freeze up”. “My brother is a man trapped in ice”, the narrator writes. “He looks at us through it; he is there and he is not there. Or more precisely, there is a fissure inside him that periodically freezes over.” So the natural world offers the narrator a way to articulate the entirety of her internal conflict. If the desire to determine the world around us is a fundamental part of being human, the ability to name the phenomena of the world is key to mastering it. “It is very important that things have a name”, Kopf writes, “otherwise they don’t exist”, and for her the “scientific investigation” of the world amounts to “nothing more than learning [its] language in order to be able to interpret what nature is telling us”. This view of things feeds into her interest in the polar explorers, particularly in their courage in “seeking out something in an unstable place”. Why does the narrator seek to write a book that “recreat[es]” her brother? Part of her motivation comes down to a desire to preserve something of him, as she suggests indirectly via her explorations of the polar ice caps. In her research, she comes across an area near the De Geer Glacier called Louise Boyd Land, a place named in honour of the intrepid female explorer who discovered it. Boyd herself, the narrator learns, was truly a force to be reckoned with, a woman who at sixty years of age became the first person ever to fly over Earth’s rotational axis. For all her achievements, however, she has been largely forgotten, except by way of the remote region of the planet to which her name is affixed. People, Kopf warns, are eroded by time: the body is “extremely fragile”, the “permeable barrier that is traversed each and every day by rivers, waterfalls, continents, multitudes”, and in the end “[h]ardly anything remains of you besides the continuity of your history”. What lingers, what endures, are those invisible parts of our histories that can be captured and preserved in words. For Kopf’s narrator, then, it’s a high calling to be one of those who can arrest the invisible in a way that gives it longevity — a calling to which writers are especially suited. Artists in general are, in her eyes, “alchemists”, or otherwise spinners of delicate wonders: “like worms”, she writes, “we secrete silk.” But not all forms of art are equally suited to the task she sets for herself. When Scott’s expedition arrived at the South Pole, for instance, the men debated the best way to take photographs of their destination, plagued by this simple question: “How does anyone make the invisible visible?” In the abstract landscape of ice and snow, how does one compose a conquering photograph? Better — more reliable — not to wield a lens, but to cultivate a curiosity about one’s world and a desire to find words that can hold it before it fades. Conversely, words that are never uttered can be just as powerful as those written down. “So many families are supported on the foundations of the unsaid”, the narrator notes when examining the difficulties of her own family life. The same can be said of most relationships, too, and in Brother in Ice the complexities and nuances of social interactions which are now played out via digital media are examined with as much rigour as the stratified layers of an iceberg. As Kopf’s narrator works on her writing project after hours, it begins to bleed into her everyday life so that, eventually, even a boy she likes is given the nickname ‘Iceberg’. When she sends a friend request to him on Facebook and he accepts, she — naturally — expects a progression in their interactions, a signal or sign from him to develop their new relationship. Days later, with no message, no like, no comment, she comes to terms with the strange currency by which she has been reduced: “my category in his value scale is follower.” Forming relationships in a digital landscape proves as slippery as gaining traction in fresh snow. 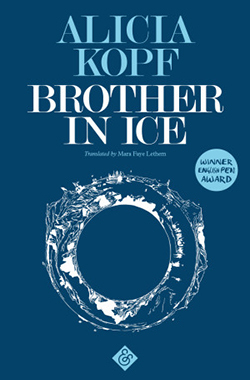 Partly out of an awareness of this situation — and aided by the seamlessness of Mara Faye Lethem’s translation — Kopf uses Brother in Ice to establish and strengthen connections between people who are otherwise disconnected. These connections are important because, as the narrator sees it, we come to know ourselves and our capacities through our effects on others. We become barometers of goodness, whereby “you expose the level of humanity of those around you”. This is all the more true for those among us who are isolated or vulnerable in some way, so that the narrator’s brother especially illuminates other people’s moral compasses. “His centre isn’t entirely inside him, but rather a part of it is outside of him, in others”, she writes — and those others include the narrator herself. Once, while watching her brother in the kitchen, she feels a rift open up between them — “Sometimes”, she writes, “I try to imagine how he perceives me, and if he loves me” — and her concerns about his emotional indifference incite her own coldness towards the world. “A thin layer of ice formed between me and the others”, she writes: “that is how the ice entered me.” Yet this ice — this barrier to connective experiences — is also what drives the narrator to turn her attention to the poles of the Earth and, ultimately, to the blank page, to assemble this book, to know herself more truly by striking connections with those who might be receptive to her words. At one point, while reading the memoirs of a polar explorer, the narrator focuses on a section in which the memoirist wonders where we look when we write. “Am I looking out or am I looking in?” she asks. “Are we reading ourselves when we read others, are we looking in or out when we write?” The idea that we can find ourselves in the words we write for others, and that we can glimpse ourselves in the words that others have written, lies at the heart of the structure of Brother in Ice. Like ice itself, the book has a surface that often tricks the eye: each of its facets reflects and refracts the others — from the narrator’s accounts of her creative endeavours to her parents’ marital troubles, from her brother’s alienation to the historical exploration of the polar ice-caps — and together they function as a fragmented mirror that captures the face of the reader as well. Reading them is an invitation to find parts of ourselves in the places they take us. This hybrid text — blending history with memoir, and truth with fiction — is an example of the kind of new writing that extends the possibilities of the novel and dares the reader to ask for more from its author. Incredibly accomplished for a début, it’s unsurprising to learn that Brother in Ice has already won several prizes in its original Catalan and Spanish publications. Above all, though, what makes the book remarkable is Kopf’s success in finding a structure that allows her to interweave her narrative content with a genuine respect for her readers’ diligence and intelligence. She makes it clear that this interweaving is the result of conscious effort, writing, for instance, that “[t]he complex sentimental origins of conflict” are forces that “the reader [who is] more attentive to the omissions — amid the snow — than what is explained, can interpret according to their perspective and intuition.” If some readers feel the temptation to ask more of Brother in Ice, to want its fragments to cohere and its seams to be sewn together, it’s worth remembering that a more unified structure would leave parts of the novel sealed off to lives outside its pages. It is actually the strange disjointedness of Brother in Ice which both demands our attention and rewards it, implicating each of us in a project to appreciate the farthest reaches of our world and the people who dwell in them.